The Meteora (Greek: Μετέωρα, "suspended rocks" or "suspended in the air") is the largest and most important complex of monasteries in all of Greece, second only to Mount Athos. The monasteries are built on spectacular natural sandstone rock pillars at the northwestern edge of the Plain of Thessaly, near the Peneios river and Pindus Mountains, in central Greece. 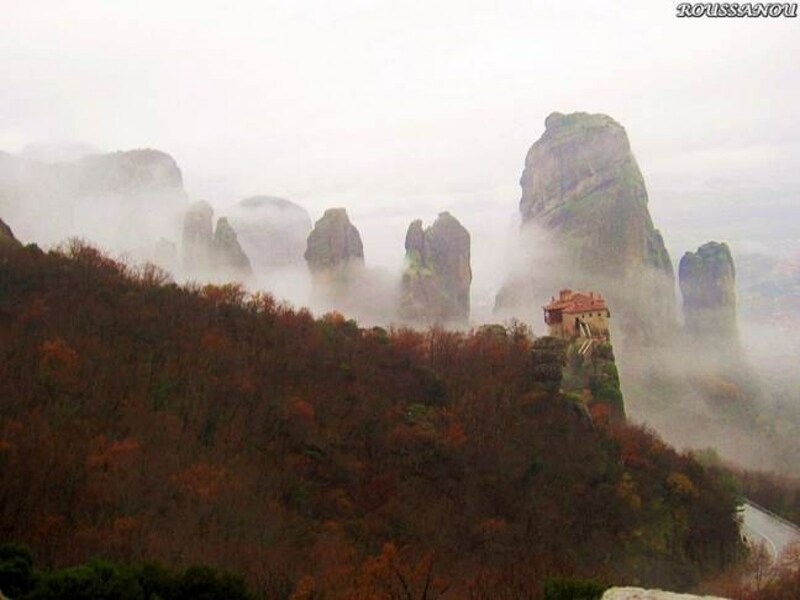 The Meteora is home to six monasteries and is included on the UNESCO World Heritage List.